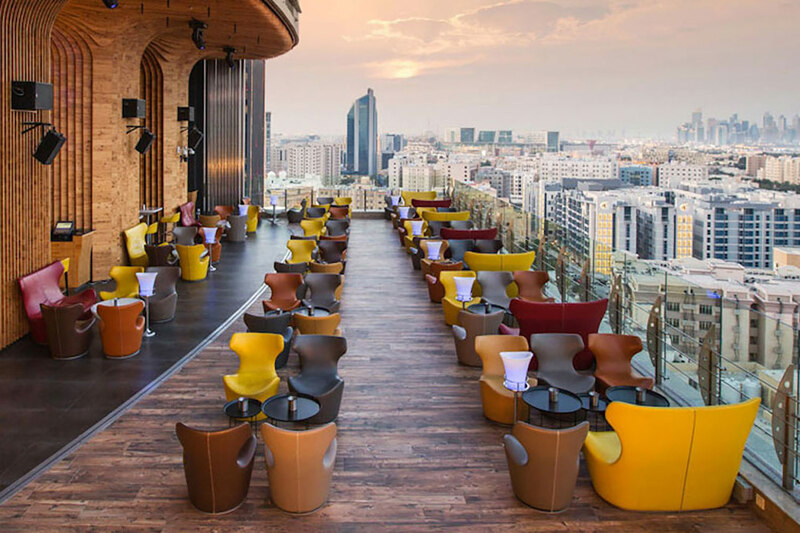 Adjacent to a large convention center, La Cigale, Doha’s newest luxury hotel presents guests with a wealth of color, textures and creature comforts. 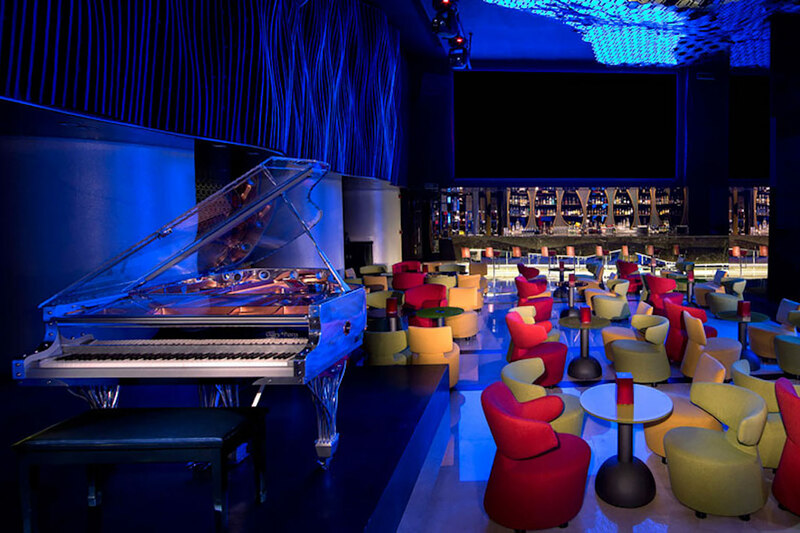 And now, thanks to a full-blown acoustic makeover by WSDG Walters-Storyk Design Group, the hotel’s sleek Piano Bar provides the ultimate listening (and speaking environment). With interiors graced by Murano chandeliers, and furnishings courtesy of Edra, Philippe Starck and Carlos Cruz-Díez, the 189 rooms, 36 suites, fitness center spa, indoor pool, restaurants and related accouterments in this one-of-a kind showplace have anticipated the needs of virtually every guest. 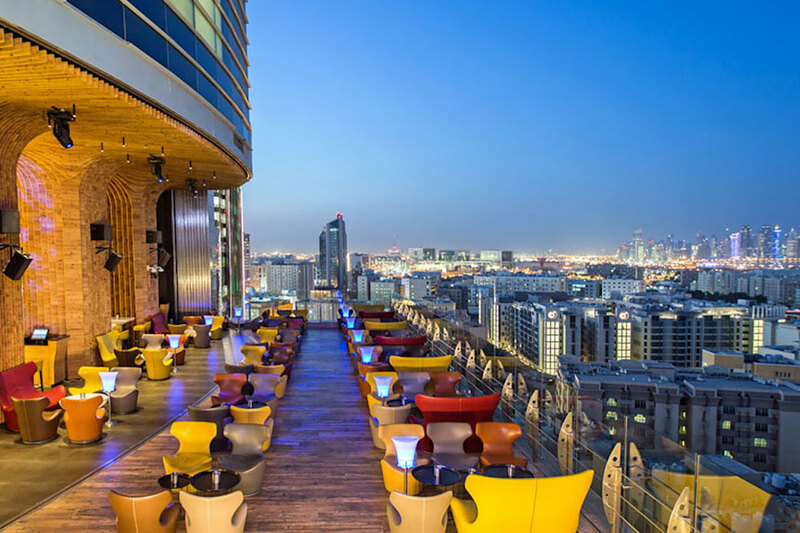 Views, from the top floors of the nineteen-story building, sweep the cobalt day and nighttime star field sky above the desert surrounding this oil-rich city. The hotel’s only wrinkle was discovered in the sophisticated Madison Piano Bar and rooftop Sky View Terrace. Just prior to its formal opening, guests invited to a preview performance were rattled by a harsh acoustic anomaly. While no expense had been spared to insure the most tasteful and attractive surroundings, the contractor engaged to build the room was alarmingly lacking in acoustic expertise. As the performance began, the installed sound system immersed the room with music so abrasively loud that the walls began vibrating, and the guests were driven out by an intense dB tsunami. A similar problem was discovered at the Sky View venue. 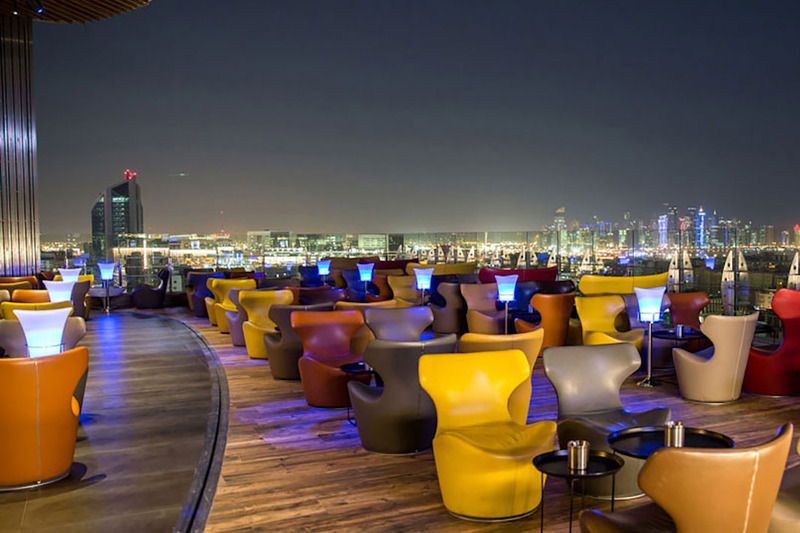 Because this club was set in an open-air rooftop environment, the reverberation issues were not as severe, but the inappropriate systems installation needed to be replaced, and additional acoustic treatments were required. 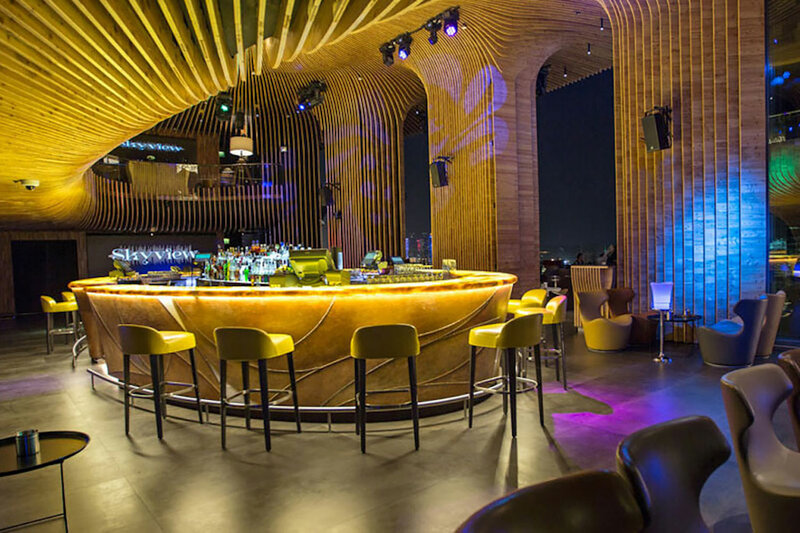 Having resolved previous acoustic complications for Doha-based clients, WSDG dispatched a team of acousticians to investigate the cause and ameliorate the problems. 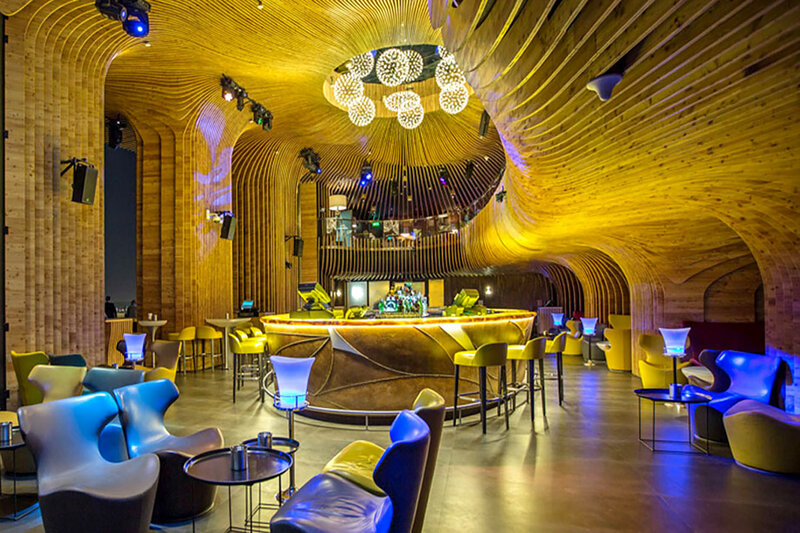 Engaging sophisticated structural acoustic and sound isolation programs, the acousticians discovered a perfect storm environment. Issues included a compromised electroacoustic design scheme; an unsuitable sound system selection and installation; highly reflective surfaces; and a resounding lack of interior ceiling wall, and floor isolation. WSDG’s comprehensive analysis recommendation was for the complete reconstruction of the Madison Piano Bar. This new “room-within-room” design stipulated ‘recording studio-level’ acoustic isolation treatments. 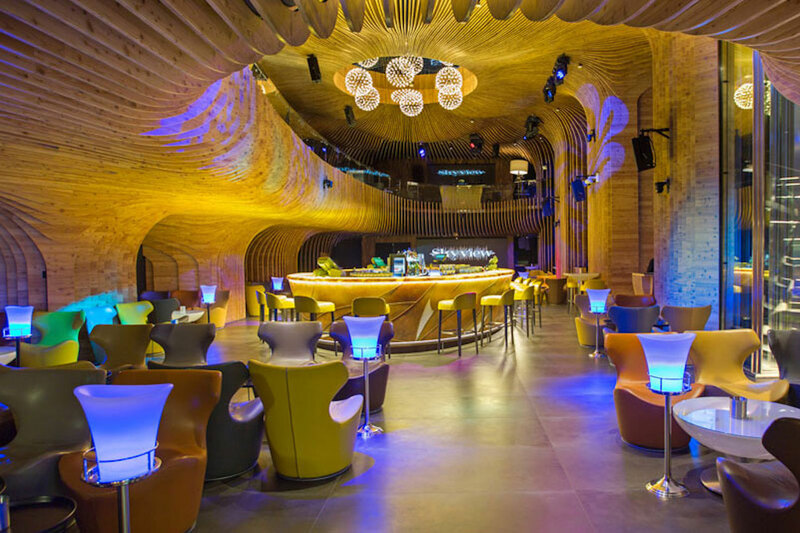 The solutions included floating floor and de-coupled wall and ceiling construction, which effectively contain nightclub level loudness within the club and eliminate sound leakage to adjacent rooms. NC at the Apartments / VIP suites was above NC 55, with an average FSTC of 45, which was insufficient to contain the 110 dB of the sound system of the piano bar. WSDG achieved NC 28 (the number is also related to the HVAC noise), and most important eliminated low frequency leakage after the isolation solution. (FSTC +>70!) Similar isolation and electroacoustic levels were established for the Sky View. 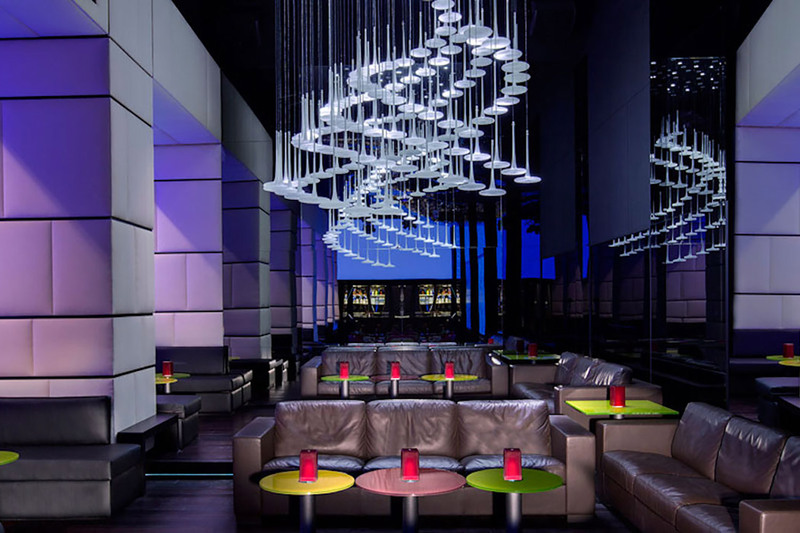 Thanks to precise placements of acoustic treatments and a professionally installed and tuned replacement sound system, club-goers at both venues can now enjoy music and converse at comfortable levels, and guests in neighboring suites can sleep without audible intrusion.